Choose a sunny windowsill which gets at least 6 hours of sun. Lack of enough sunshine will leave you with spindly, stressed plants, with little flavour. Select your container(s) ensuring plenty of drainage holes. Use a saucer to avoid marking your sill. Start by putting a layer of potting mix in the bottom. 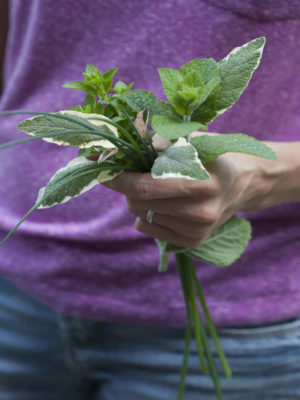 Gently remove the herb plant from its original pot loosening the roots. Finish with potting mix, firming gently around the plant leaving space for watering. Drain the saucer when excess water accumulates. Harvest regularly to encourage them to grow full and bushy. 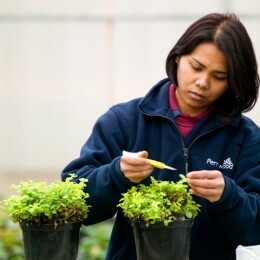 Top Tip: Never trim more than 1/3 of the plants foliage. Pruning more than that can stress the plant. 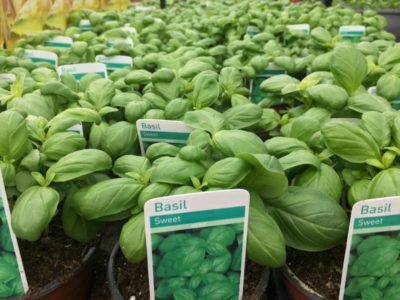 Sweet Basil: Basil brings a taste of the Mediterranean to your food! 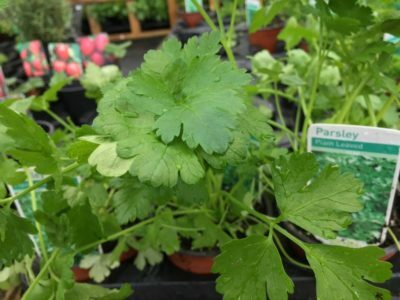 This popular annual herb is fast-growing so will last just one season. Young foliage can be picked as required, avoiding whole stems as this weakens the plant. 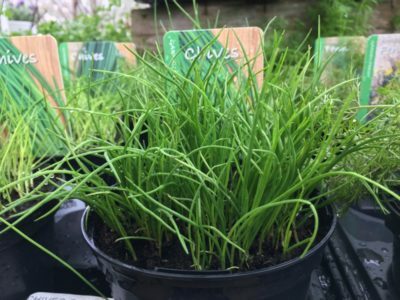 Chives: This onion flavoured herb is an easy to grow perennial herb – great for salads! 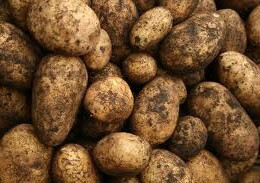 They can be harvested from spring to autumn and will then die down over winter. Shoots will emerge again the following spring. Rosemary: This woody-stemmed evergreen herb produces tasty leaves that can be harvested year after year. 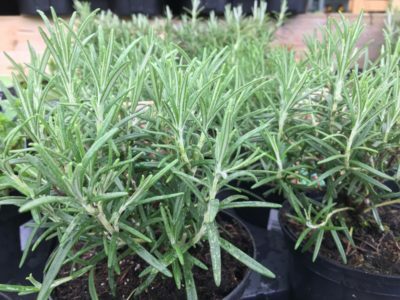 Rosemary can be used as part of a bouquet-garni to be added to soups, stews and casseroles; whole sprigs can be roasted with root vegetables or sprinkled over Italian breads such as focaccia to add flavour. 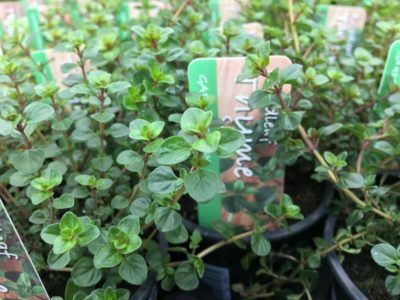 Thyme: This small leaved evergreen herb will form mounds of edible foliage all year round but it is best to ‘rest’ the plant in winter when it isn’t actively growing. 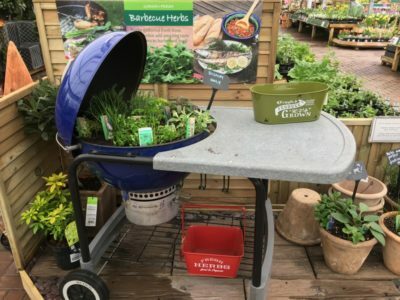 There are many varieties of thyme available with different aromas and uses ranging from soups, sauces and adding to fish and meat dishes. 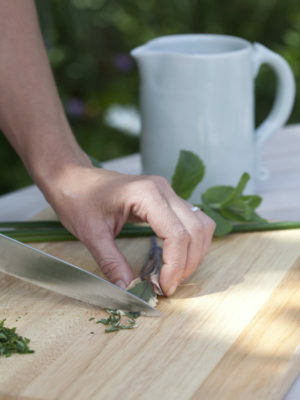 Always choose the freshest and healthiest looking shoots and wash well before chopping. 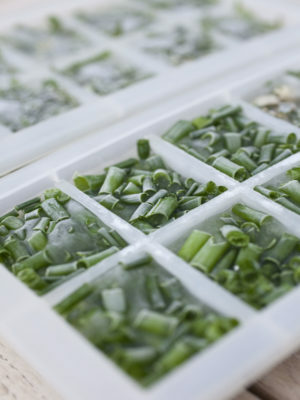 You can replace fresh herbs in recipes with the same amount of frozen herbs. 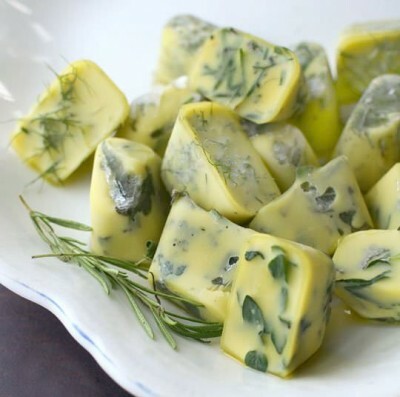 We also love this idea if you cook dishes that are more savoury and wouldn’t want to add water, freezing your herbs in oil is the perfect solution. 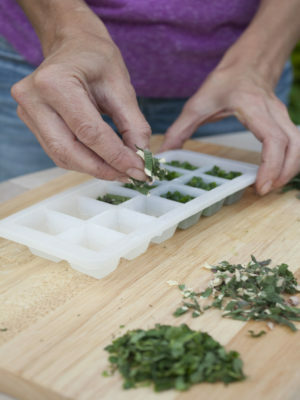 All you need is good extra virgin olive oil and cover chopped herbs in the ice cube trays. Freeze overnight, then pop out of the trays and seal in plastic bags, Freeze until ready to use. Add to any dish that has an oil or savory base. Perfect for your Sunday Roast! 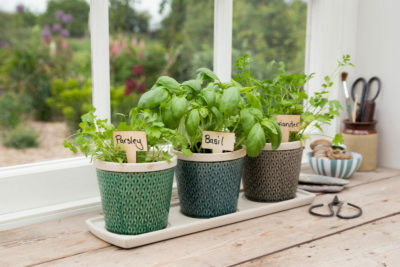 We currently have lots of different herbs available that will give amazing flavour to your food and can be replanted on your sunny windowsill. 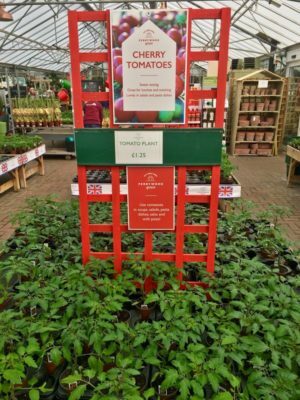 We love the idea of starting off your cherry tomatoes in spring on your windowsill. 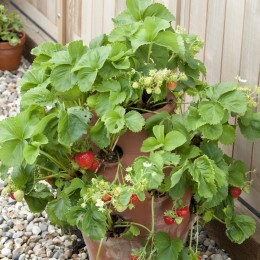 These are perfect to grow in a pot, are sweet to taste and just right for a salad. Why not pop in and see our inspirational displays. 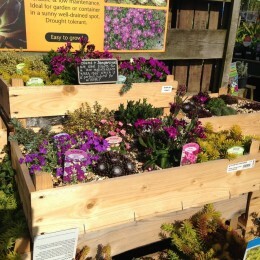 Or ask our team of plant experts what they recommend. 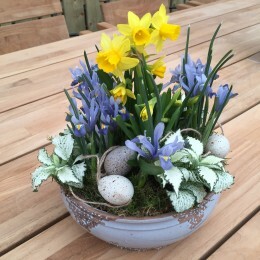 The most important thing to remember is that by cultivating even the smallest inside space, will lift your mood and add lovely scents and lots of greenery to your home. 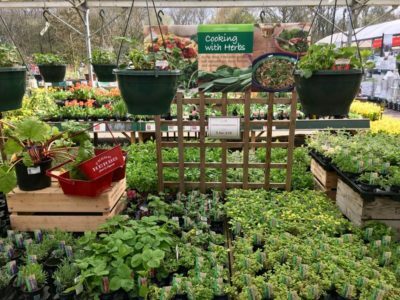 So, if you’re looking for a new hobby that will help calm your mind and lift your spirits, give indoor gardening a go: you’ll soon see, and feel, a real difference.